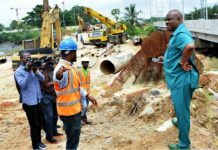 Home Special Interview Rivers: Opposition Contending Without Princewill? 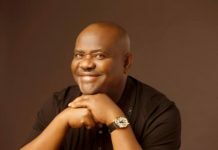 Rivers: Opposition Contending Without Princewill? 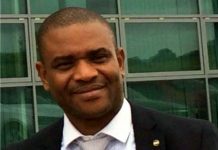 Opposition in Rivers State was like a paper tiger until the emergence of the former Action Congress (AC) leader in the state, Prince Tonye Princewill. When Dr Peter Odili emerged as the third civilian Governor of Rivers State after Chief Melford Okilo and Chief Ada-George in the old Rivers State, his administration did not witness serious opposition. The only cognised persons then were Chief Ebenezer Isokari and Chief Sergent Awuse. 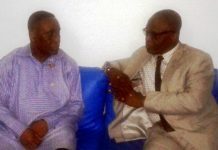 These two politicians did not pose serious threat throughout the eight-year reign of Dr Odili. 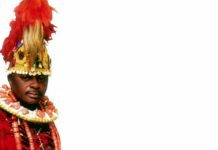 Chief Isokarari whom many believed would have given the then Odili’s administration stiff opposition later turned out to support the governor for a second term. Apart from organizing a forum to seek Odili’s re-election, he publicly declared that, he, Isokarari wouldn’t have done better than Odili, if he was elected governor in 1999 general election. Although, Late Dr Marshall Harry, the first Peoples Democratic Party chairman in Rivers State who was suspended by the National Executive Council of PDP due to some disagreement with the party’s policy could not live to fight the party he nurtured in the state. He was killed in his private house in Abuja by assassins. His demise actually ended the anticipated opposition. Even Chief Sergeant Awuse of the all Nigeria Peoples Party (ANPP) could not stop the moving train of PDP, led by Prince Uche Secondus and Odili. Prince Tonye J.T.J Princewill, a petroleum engineer and the son of His Majesty, King Progressor T.J.T. Princewill, the Amanyanabo of Kalabar emerged the Action Congress Party flag bearer in the 2007 general elections. His sudden rise in politics surprised many as defeated one of the oldest politicians in the state. Chief Sergent Awuse in a keen contest. After the April 14, 2007 general election, Princewill did not relax or go back into his shell like other politicians. He proceeded to the tribunal and prayed that he won the election. The tribunal was on till October 25th 2007 six months after, the supreme court declared Amaechi Winner soon after the declaration, he withdrew his suit from court. But despite the fact that he withdrew the suit against Amaechi, he never stopped in opposing and faulting the government each time he goes wrong in his policy formulation and executions. Princewill’s continued criticisms drive other poiltical parties in the state to speak with one voice by forming the Forum of organised opposition political parties (FOOPP) comprising of 46 political parties. The main aim of FOOPP was to contend with the ruling Peoples Democratic Party (PDP) in the state. The strong opposition the FOOPP maintained forced the present administration headed by Rt. Hon. Chibuike Amaechi to form a unity government. Although, having fought the present government for over two years, the Kalabari politician attracted more enemies to himself than friends. Several attempts were made by his enemies to assassinate him, depose him as the AC leader. The attempts were not hidden, but he was able to come over them. However, observers said the resignation of Princewill from the Action Congress last two months may have ended the opposition to the Rivers State, thereby drawing a straight jacket second time for Governor Chibuike Ameachi. Apart from the Forum Of Organised Opposition Politician Parties (FOOPP) which its activities may not pose the needed threat to the ruling party following the resignation of Princewill last two months, many believed that opposition is dead and buried in Rivers State. It is also widely believed that many may not support any opposition in the state following the huge success the present administration had achieved in its infrastructural development which has, no doubt, lifted the hope of common men in the state. Analysts said the reason for opposition in any given society is not only to the incubent government but they give the administration a sense of belonging and redirects its focus. Princewill who spoke with The Weekend Tide in an interview said he returned in to politics to correct the ills in the society serve and improve the lots of the people. The Kalabari politician who is on political break after dumping the AC party said the people are yet to enjoy democratic dividends because some politicians have turned themselves to demi-gods rather than public servants. The petroleum engineer turned politicians said he has played his role as the main opposition but said that does not mean that he will not bear his minds if the governance is not focused. He noted that governance cannot function properly without opposition stressing that Odili was unable to achieve much in the state as governor for right years because he was not opposed by any party or persons. According to him, opposition groups have been panacea for development and any society that does not critise its government is doomed. Princewill said during his stay in Action Congress, the opposition was able to record some success, apart from infrastructural development of a befitting FOOPP secretariat, the opposition was able to re-direct the government to focus on its mission and vision. To an extent, success was recorded. But may leaving Action Congress Party does not mean I will not critics and fault the government at any given time or provide solutions to any problems as the need arises. 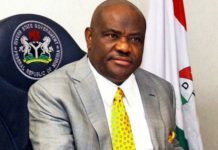 Speaking, Chief Mike Nwilaghi, former state chairman of Alliance for Democracy (AD) and the chairman, Congress of progressives, Rivers State said opposition may not be feasible now, but certainly. When the election bell rings surely the governor will have opposition. He said, Governor Ameachi is as free as any other person in the state who is eligible, who can vote and be voted for. Martins O. Ikhalae a public analyst said if there is no opposition, then the political system and process will easily be predictable. Ikhalae who recalled the threat by Dumo Lulu Briggs to Dr Peter Odili in his 2003 reelection bid, but regretted the manner the young man and his opposition party. National Democratic Party (NDP) withdraw from the election at the last munites noting that it was on a wrong and faulty. Meanwhile, reports have it that Princewill and other notable politicians are already preparing grounds for public proclamation to join the PDP en-masse. Princewill and others dumped the AC shortly after Alhaji Abubakar Atiku, AC’s leader and presidential candidate dumped AC for PDP.